Here is an easy Odd One Out Picture Puzzle. In this picture puzzle brain teaser, some letters are given in the star. All these letters except one letter are related to each other with some pattern, logical or visually. Your challenge is to find this relations among given letters and then find the odd letter out which does not share the common property of other letters. 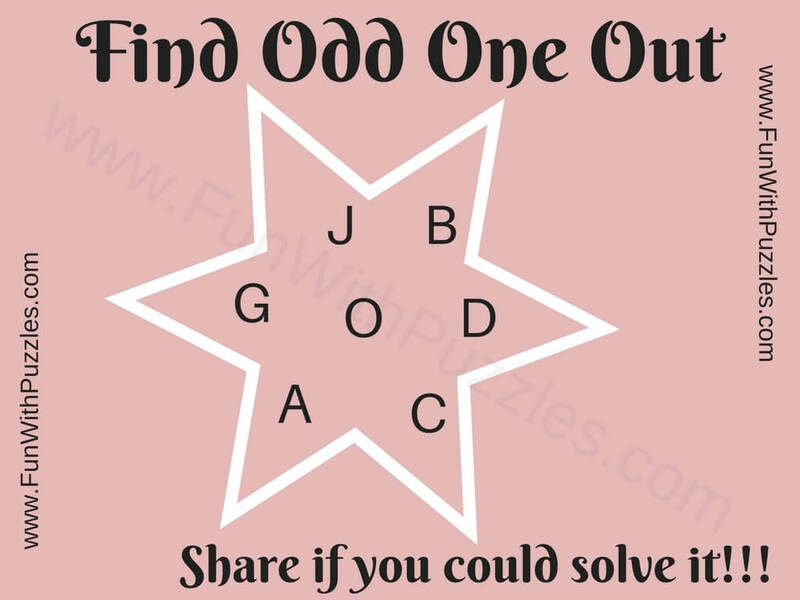 Can you find this Odd Letter Out as quickly as possible? 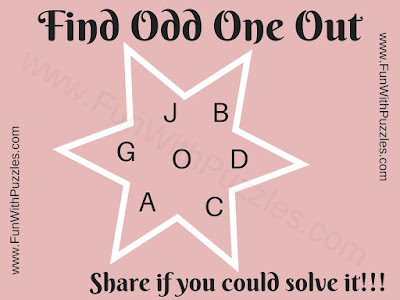 Answer of this "Picture Puzzle Brain Teasers for kids" can be viewed by clicking on button. Please do give your best try before looking at the answer. The Answer is letter A. All other letters have curves while A is only letter which does not have curves. There may be other reasons to relates these given letters. If your answer is different from this answer, please do post your answer in comment section of this post along with your reasoning.